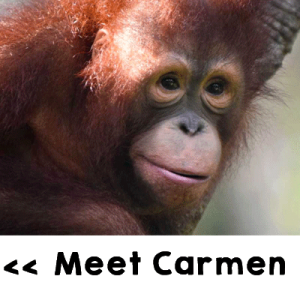 Little Amelia was four years old when she was brought to the Orangutan Care Center & Quarantine in 2018. She was found, abandoned and orphaned, in the middle of a recently clear-cut piece of land in the Lamandau region of Central Kalimantan. 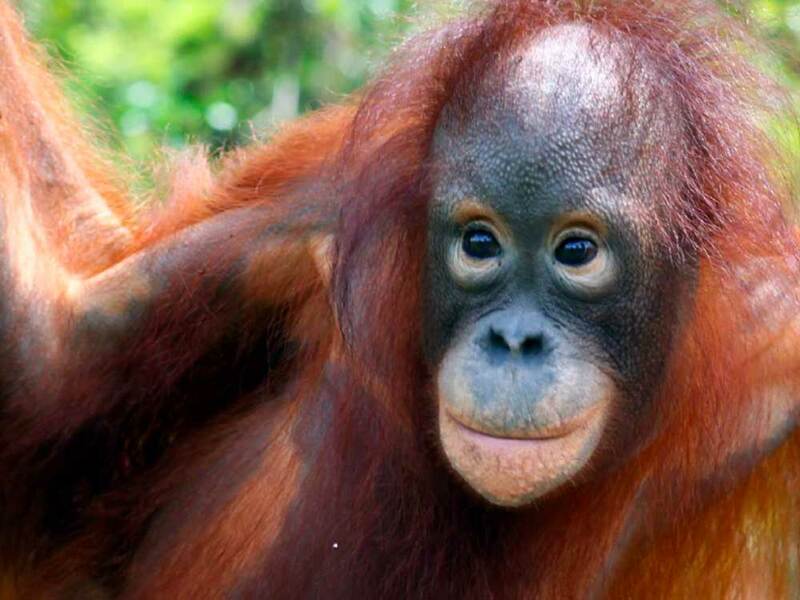 We don’t know how long she was kept in human captivity before being handed over to OFI. However, considering her abnormally small stature for her age, and the x-ray examinations that revealed an unusual curvature to the bones of her hands and arms, it is probable that she was kept in too small a cage, where she couldn’t stretch, for a long period of time. Upon arrival her hair was dry and thin and her eyes were swollen, most likely from stress and sleep deprivation. Delicately picking her way through leaf-strewn forest pathways, Amelia could not be more ethereal. Even Amelia’s face is the height of refinement: big eyes, a nose so delicate one has to search hard to find the bridge, and best of all, a content expression that could melt the hardest of hearts. She is now at the OCCQ having the care and rest she needs.